Bird man: Joe Olszowy with his award-winning blue bar hen. 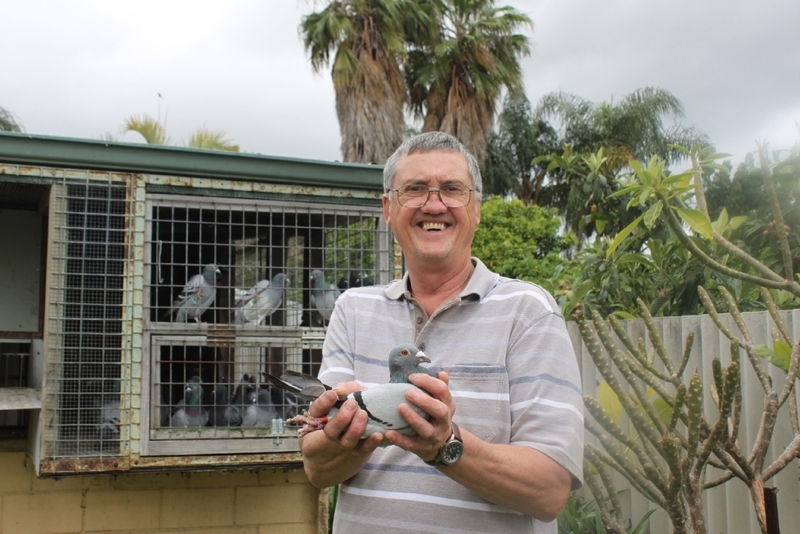 RIVERTON Racing Pigeon Club member Joe Olszowy won the flyer of the year title after a successful campaign of pigeon racing. The Thornlie resident also received the bird of the year award with his blue bar hen that had two wins and a second place. In total, his pigeons won five races and seven second placings. The 64-year-old started breeding and taking an interest in pigeons when he was a teenager, but stopped after he got married. Although Mr Olszowy stopped racing, he continued to breed birds and eventually in 2011 decided he wanted to return to racing in 2012. He now owns about 100 birds, with about 70 of them that are involved in racing. In pigeon racing, the birds are taken by a truck to the location of the start of the race. The races can be as close as Midland, or as far away as Newman, which is about a 1200km drive north-east of Perth. Once the birds are released from the location, they must then make their way back. The winner is judged by the fastest speed, rather than which bird comes in first, as there are members of the Riverton Racing Pigeon Club that live as far south as Mandurah. Mr Olszowy said he wanted to see more children get involved in pigeon racing, rather than sit in front of a computer all day. He keeps the birds in a loft in his back yard and carefully looks after them, letting them out for an hour or two a day to fly as well as give them a feed when required. He is also breeding younger birds for the next season.